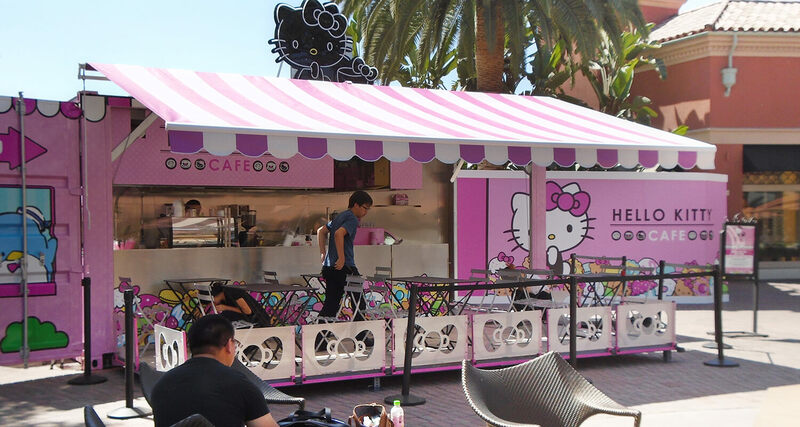 Affordable Awnings Company is Southern California's best value for high quality, custom made commercial shade structures that cool, protect & beautify your storefront or outdoor space. For more than 25 years, our team of awning experts has manufactured and installed well-constructed, long lasting and appealing awnings designed to meet the individual needs of each of our diverse commercial clients. 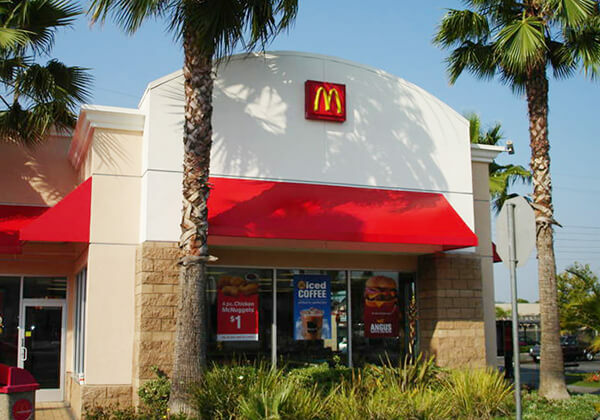 Commercial awnings are a great investment. 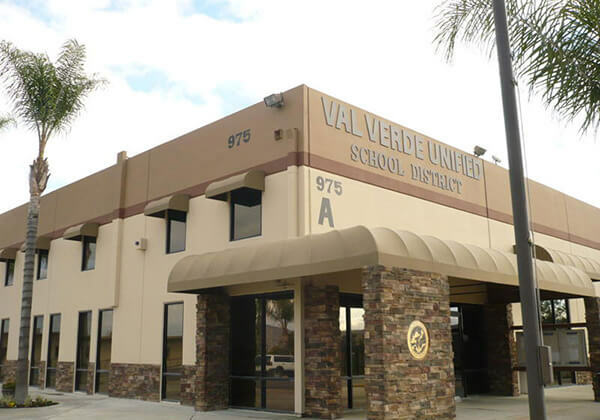 They expand your business space, provide shade and weather protection, enhance your business's image, shield your furnishings from sun damage, generate energy savings and help you attract new customers. Our awnings are custom built to meet the unique needs of each business's character, style and purpose. Our range of commercial awning products includes aluminum awnings, manual and electric retractable awnings, stationary awnings, canopies, cabanas, drop rolls, sunscreens, outdoor curtains, umbrellas, and sail shades. We use only the best American-made materials for unmatched durability, such as powder coated steel and aluminum frames, premium thread, and Sunbrella fabrics, which are backed by a 10-year warranty. 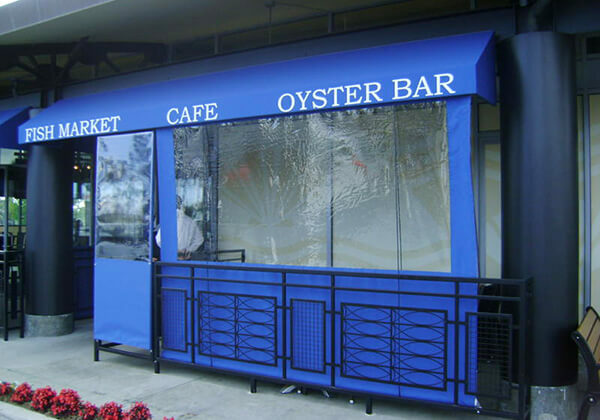 We can also add custom graphics to any awning for increased visibility and stronger branding. By manufacturing everything in-house, we keep production costs low and ensure that our materials and craftsmanship consistently meet the highest standards for quality. We deliver a short turnaround time on fabrication and installation, and we stand by all our work with a written guarantee. Affordable Awnings Company gives you the best value for your investment. With our A+ rating from the Better Business Bureau, you can trust that you'll receive unparalleled customer service, superior workmanship and competitive rates. We are in good standing with the Contractors State Licensing Board and are fully licensed, bonded and insured.